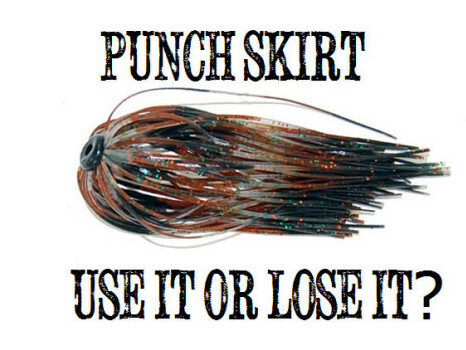 should you use a punch skirt when Bass fishing in weeds? There is considerable debate about using a punch skirt when fishing for Bass in areas with mats of vegetation. The idea is that the bulk of the silicone strands keeps weeds from grabbing your lure on the way through and add motion when underneath. But are they worth it? Do you need them? Here is a video that talks about going skirtless when fishing mats. ‹ GSI Lexan Flask Review	› Trout Eat Mice?